The people I work with are great because they constantly tell me how much they love what I bring in. This could be because they love it or they are hungry, either one is fine with me. These muffins were a hit even though the batch I made this weekend MAY have been slightly overcooked... *angel emoji*. Solution just heat them up a bit and add some butter and its a religious experience. 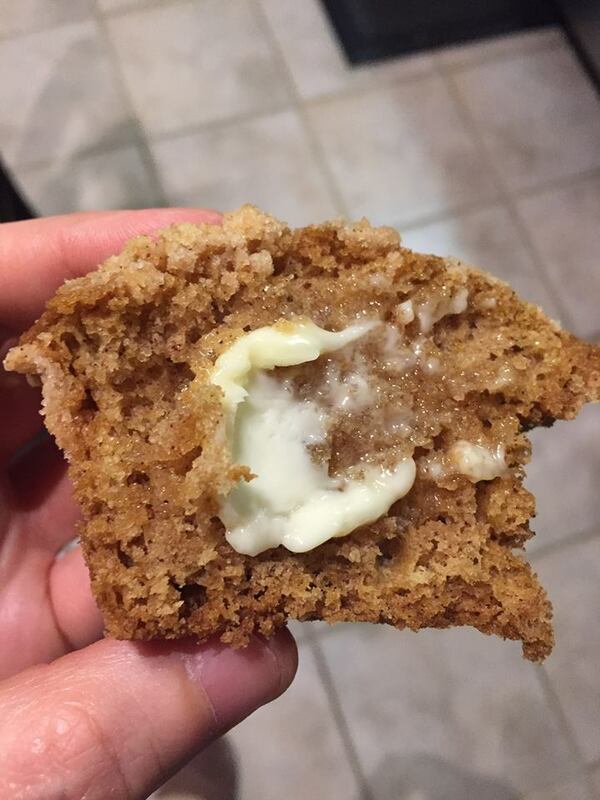 To make the muffins, place the sourdough starter in a bowl, add the rest of the ingredients and stir until combined. Pour the batter into muffin liner ( I recommend buttering the liner a bit so it doesn't stick. Smooth top and sprinkle reserved crumbs evenly over the batter. Let the muffins rise for about 30 minutes in a warm place.